As I am writing you on this chilly fall day I feel extremely exclusive in Belgium. Considering I'm one of the lucky ones who gets to style the prominent collection. 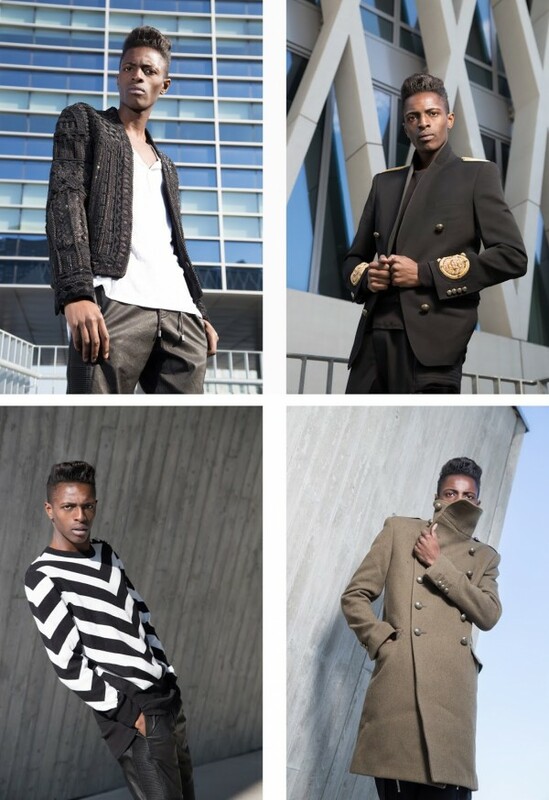 Secondly, I teamed up with H&M Belgium for the 2nd time now to introduce you to the Balmain x H&M men's collection + a street style guide for the Balmain x H&M men's collection written by me and photographed by HOYmedia. 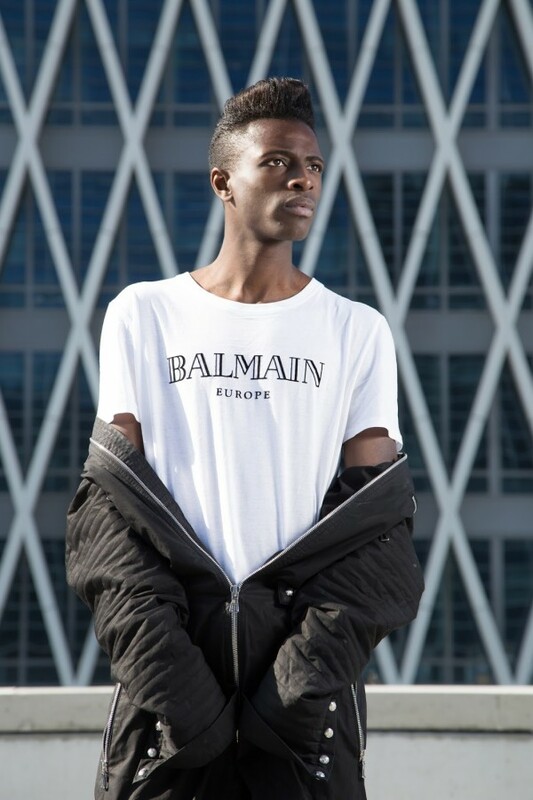 As we speak, the almost on one Balmain x H&M menswear and womenswear collection is nearly out (here) . Finally on November 5th 2015 we will all witness the #HMBalmaination - madness take over the streets worldwide. Olivier Rousteing did it! Once again he manages to mix street wear and high-end clothing. A teaser of the collection was released, if you need to catch up on it read my #HMBalmaination News - articles to find out more about the release or watch the entire New York show here. 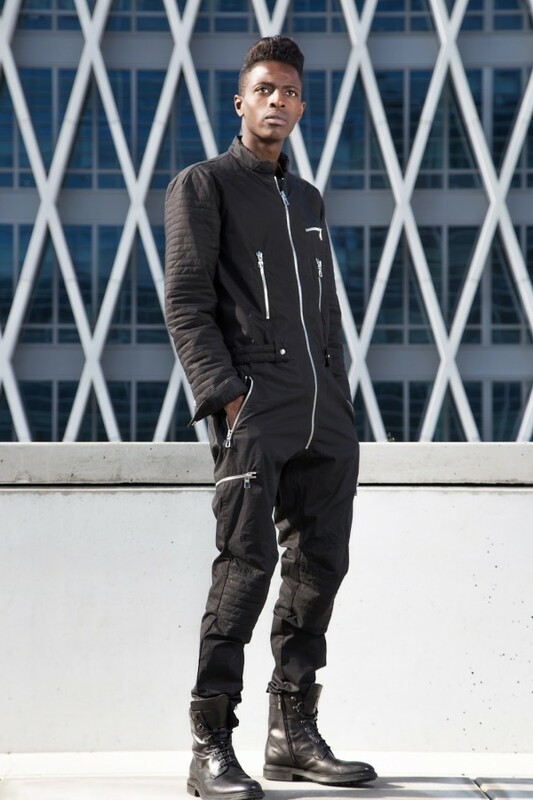 The Balmain x H&M collection braces Balmain's flamboyant aesthetic at an affordable price. 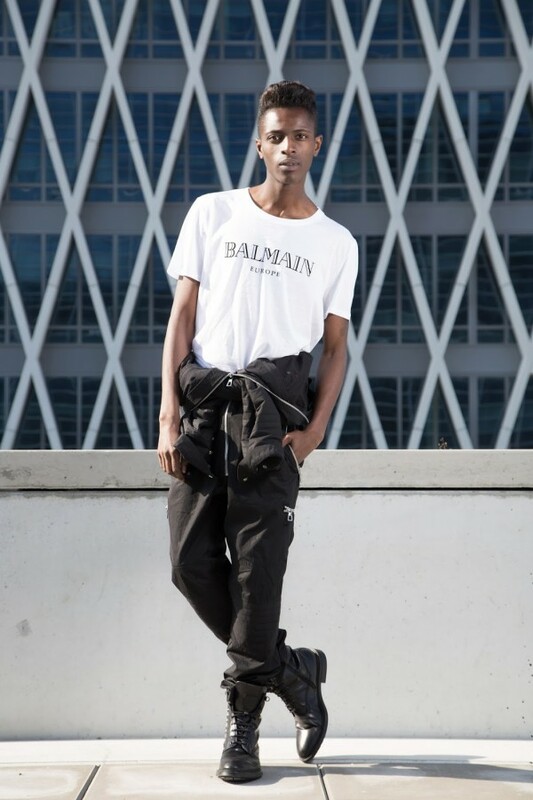 The typical Balmainiacs who love the Balmain taste and it's richness will fast find that coming back in the 5 looks I styled from my favorite garments of the men's collection. 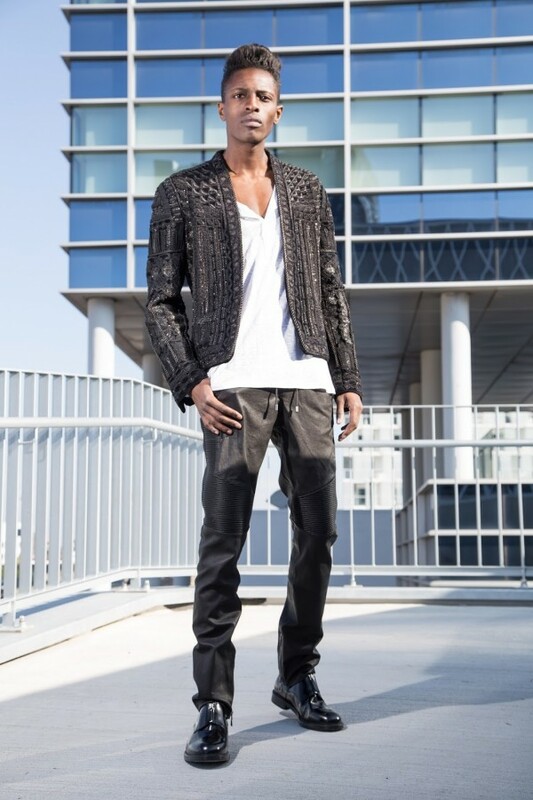 When modeling for Renaissance , LE high-end store of Antwerp, I'm often put in Balmain clothing. I can assure you that it's quality is absolutely premium. With it's design and cut, it feels like you're wearing paradise. Since I've been modeling for Renaissance I started doing more research about Balmain and Olivier Rousteing. Quickly I came to the conclusion that the level of craftsmanship is above all. So in a way teaming up with H&M is a brilliant way to connect with the crowd who has love for Balmain's fashion but don't want to burn out the wallet. To all modern men who are looking for special avant-guarde clothing pieces to elevate their wardrobe ... this is the one , fellas! There is not one particular color tone but I can say that the army feel is strong in this collection. Determined by details on the "captain-blazer", the sensational black jumpsuit or even the uniform stripes on the sweaters. 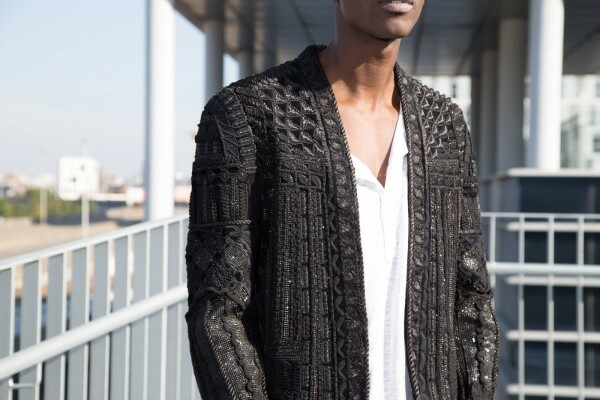 Balmain x H&M is more about attitude & confidence, considering the pieces aren't your regular menswear basics. 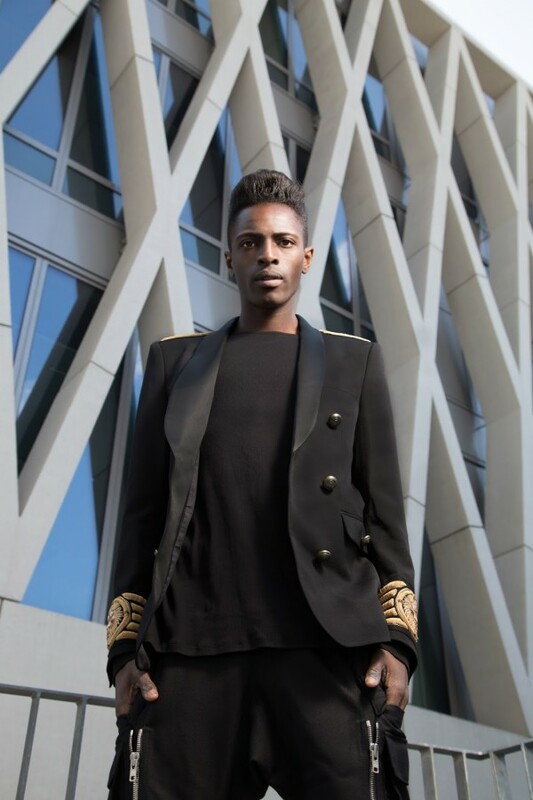 It's with boldness, attitude and confidence that one becomes part of the #HMBALMAINATION. Let me teach you this doogie lool but keep in mind the 1st rule of my street style guide : 'Dare to Wear'. I truly hope you keep all your fashion senses sharp for this one. To bring your street style game to another level. Think about it...This is not your basic H&M menswear gear. You can see it as the after-party to the Balmain men's collection. Be bold this time. Buttonup! Embrace the striped sweater with army-themed shoulder buttons. The buttons are a key detail that keeps coming back in different designs. Embrace leather pants! 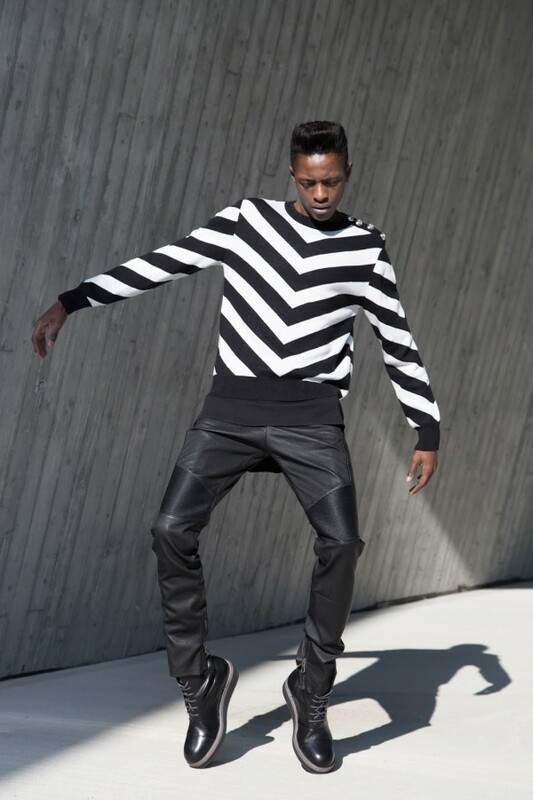 We can finally get a taste of that Balmain biker style plus the one leather biker pants feels smooth and comfy. Yes the blend of stripes, buttons and leather might sound weird but the structured army details lift up the look to that high-end zone. Be brave! Once I had on my favorite designs from the collection, I was feeling myself. Be bold, be confident and OWN IT. The outfit you put together will shine on its own anyway. The Balmain touch is very extravagant and out-there. 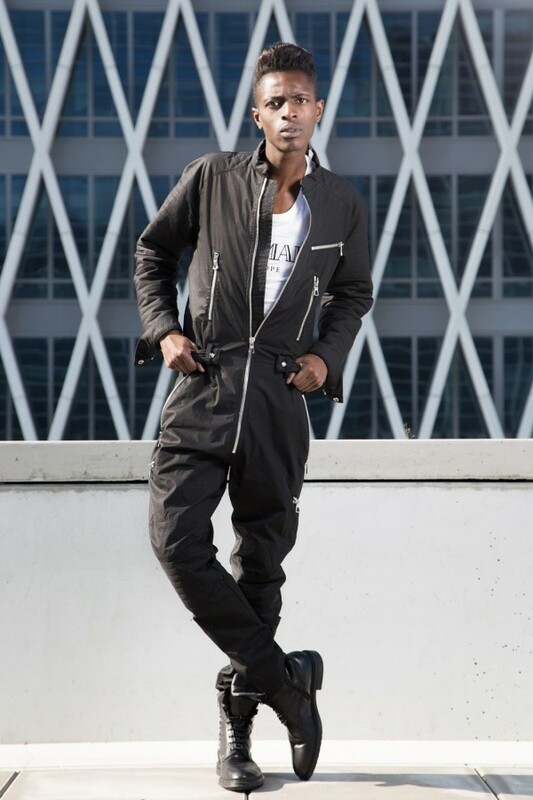 The statement blazers are embroidered in black and gold also the jumpsuit has never been an easy to wear clothing piece for men. Don't overdo it by adding multiple layers or over-accessorizing the main garment of your look with other shiny and showy clothing. Do : 'Captain-blazer' with gold embroidery + black pants + long black tee + black shoes. Usually wearable jumpsuits for men are made from a rigid fabric like denim. This one is actually warm, flexible and easy to walk in. Style Tip #6 : Accept it! It's NOT the original Balmain collection. Let's not get confused here people. Don't forget that H&M is in charge of the production and Balmain created the designs. That's how they operate. I caught myself too, believing that the clothing should be as high-quality as Balmain's original collections. That is practically impossible fellas (I'm sorry). There is a high price that comes along with Balmain's arresting craftsmanship. However all this doesn't take away the charm and artistry of Rousteing's work for the #HMBalmaination collection.